Main performance: chocolate core machine is newly-developed equipment by QINHUI MACHINERY according to market development trend in recent years, the latest research and development of special equipment used in food core. The device can be used for chocolate, egg yolk, bread, cake, pie, note core puffs and other kinds of core food Core injection rate adjustable from 5 grams to 20 grams, core injection head can be made according to customer's actual needs. For different food with different core head, will achieve better core injection effect. 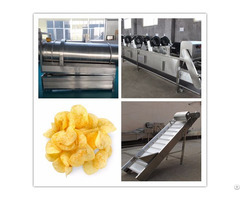 Business Description: Shenghua Group Hebei Saiheng Food Processing Equipment Co.,Ltd is an industrial company with rich experience, specializing in the manufacturing of various types of food machine. The company’s main products: biscuit production line, cake production line, candy production line, chocolate production line, various kinds of pastry equipment and food packaging equipment. "Good quality is the key to survive, Good credit standing is the key to develop" is the enterprise purpose of SaiHeng. With the management philosophy of "quality, service, innovation", under the efforts of SaiHeng people, the company achieves a rapid improvement in sales value year after year. The company’s products are exported to Britain, Japan, Ireland, France, Africa and other parts of the world.